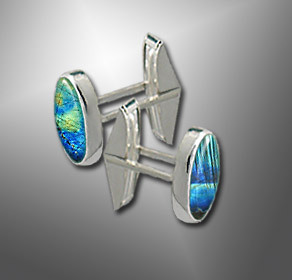 Contemporary handmade cufflinks in gold or sterling silver and gemstones. One of a kind and limited editions. (Price based on $1400 gold market / $30 silver market. Spectrolite cabochons available for custom jewelry designs.